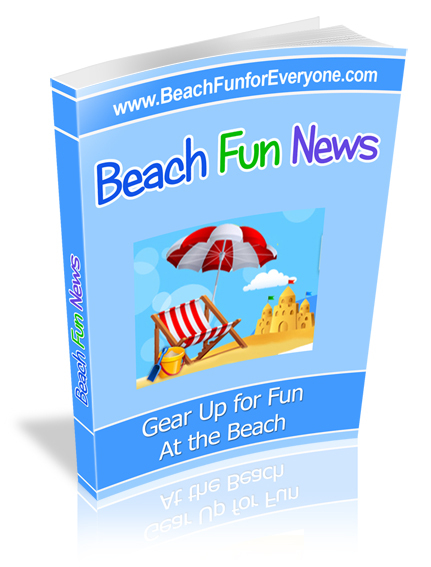 What essential baby beach gear will make your day at the beach fun for you and your baby? 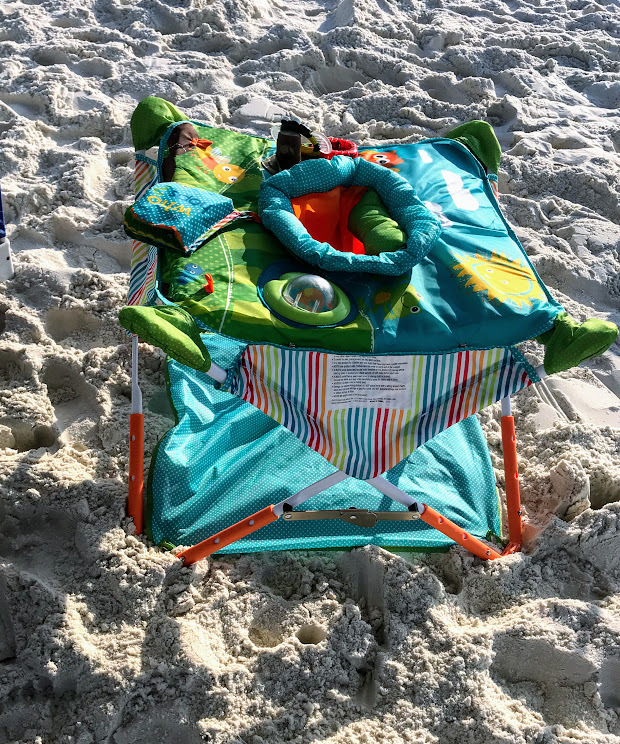 With some planning and a few (well maybe more than a few) baby beach accessories, it can be a fun and safe day for all of the family. In case you didn't know babies burn easily and dehydrate quickly in the heat and sun. 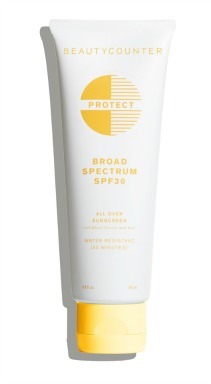 Their young, soft skin needs protection when they are out in the sun. 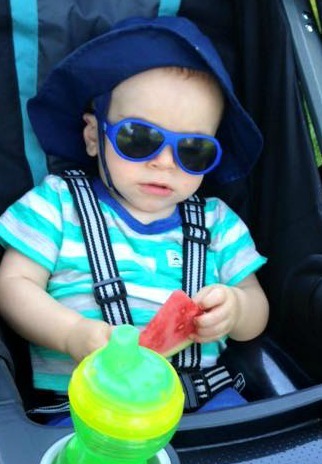 Babies also overheat easily so shade is just as important as protective sun hats and rash guards. Keeping them hydrated with best of all - water - will prevent dehydration. I was so excited when I found out about the PeaPod. 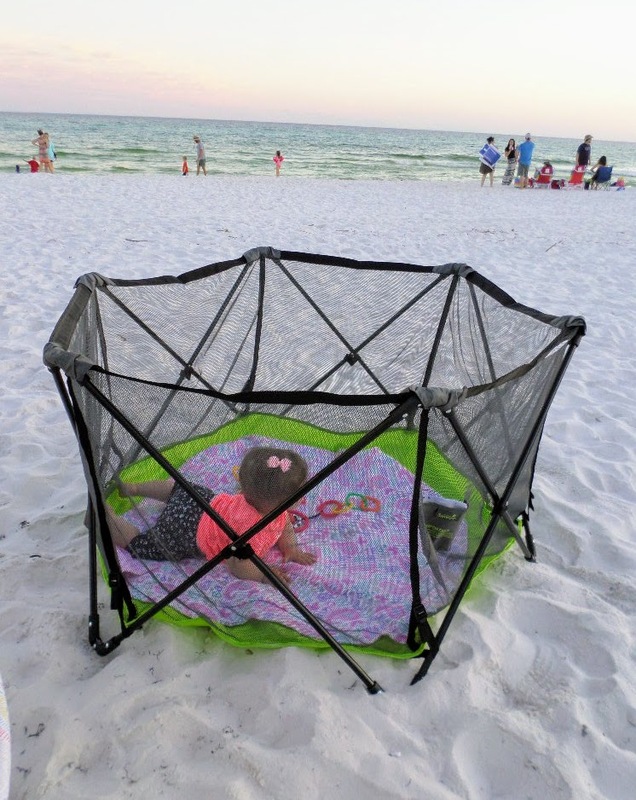 It works so well at the beach in many different ways from protecting your baby from the sun, and wind, to preventing bites from mosquitoes and gnats. We joined our daughter and her family in Hawaii for a family beach vacation. The sun is not the only thing baby's need to be protected from - they also need protection from the wind and bugs. Wind can take a baby's breath away - so they need a safe place to rest that won't interfere with their breathing. We love spending time on the beach on the St. Croix River. But there have been many times that we've come home with mosquito and gnat bites all over us. That's OK for an adult - but not a baby. The mesh sides and flaps protect the baby from the sun, wind and bugs. If more fresh air is needed open the flaps so a breeze can flow through the mesh openings. The PeaPod comes in different colors and two sizes. This larger one will accommodate up to older toddlers. It's truly lightweight and you can pack it in your suitcase if you are traveling by plane. 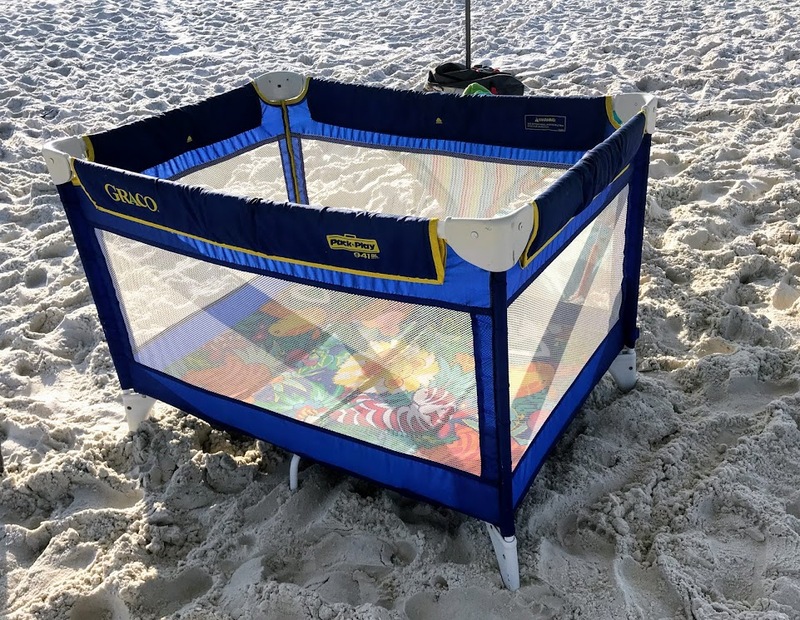 There are a variety of beach tents for babies - some designed with just enough space for little ones to nap and others that can fit an adult or two. Wondering how you are going to find room to bring all this baby beach gear? 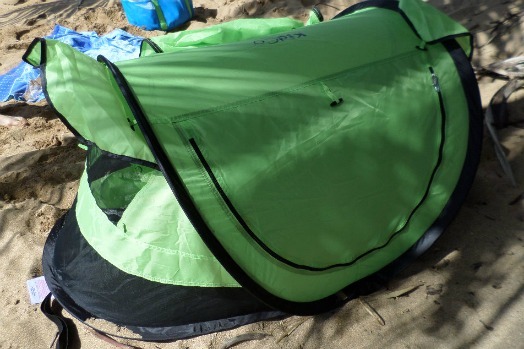 Many baby beach tents fold up into a small portable bag (like this one pictured) so you can even take them in your suitcase. 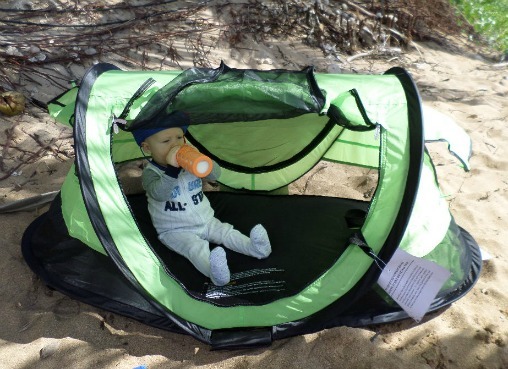 A baby or infant beach tent is one of the most important pieces of beach gear you need to bring for two reasons. 2. Baby skin is very sensitive to the sun and burns easily so it needs to be protected all day, even on cloudy days. Are you wondering what's the best and safest baby sunscreen lotion or at what age can parents begin applying sunscreen to a baby's skin? These chemicals are also allergens and may have carcinogenic toxicity. 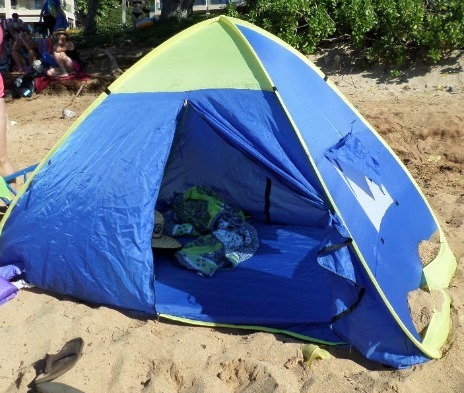 There are other ways to protect their skin like using a baby pop-up beach tent combined with baby sun protection clothing often called rash guards. Baby rash guards are made of a quick-dry material that can be worn in and out of the water. Check with the manufacturer, but often you will see that they feature fabric with an SPF of 50. These pieces of protective clothing come either as a one piece or a two piece. This one piece baby rash guard has a zippered opening for changing diapers. It is easy to put on and take off. The breathable fabric means your baby won't get too hot in it either. 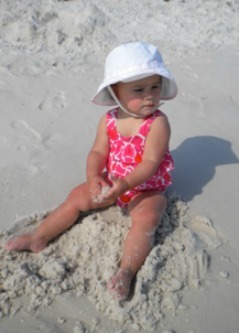 A one piece baby rash guard like this one pictured works well too. Paired with a swim diaper it doesn't provide as much protection to the legs. But if the baby is going to be in the water in their baby pool float this is a great way to protect their upper body. It comes in a variety of colors and sizes up to 4 Toddler. It runs small so size up when you order. 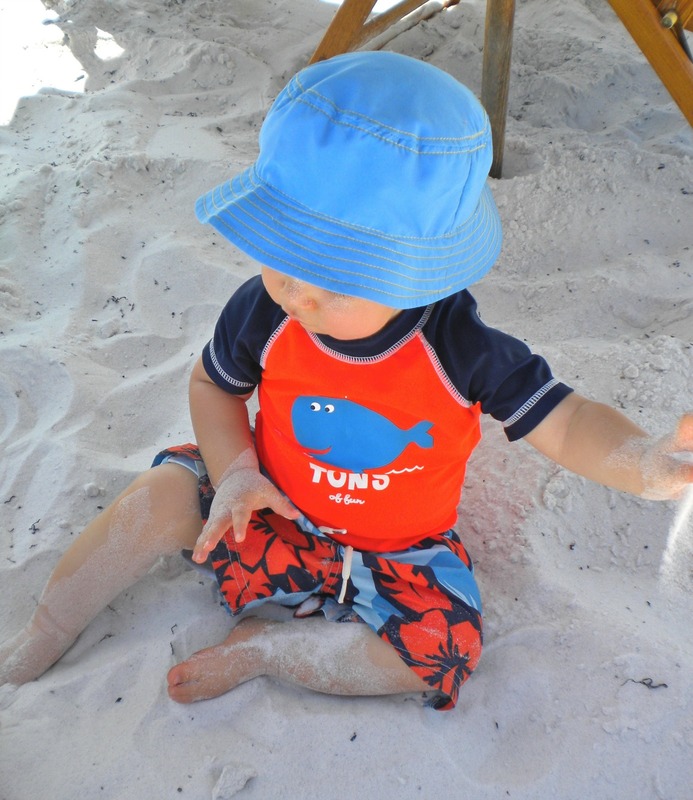 Babies can overheat quickly and easily especially on a hot, sunny day at the beach. Combine that with a stuffy tent and no breeze, soon the temperature inside a tent will quickly climb. Fortunately there are portable battery operated clip on fans that can help keep your baby comfortable and cool. You will love how much of a difference a fan can make on a day when there is little to no breeze. This one by SkyGenius has a rechargeable battery so you can just recharge it every evening and you'll be ready for your next day at the beach. It can run up to 6 hours on one charge. You can rotate and adjust the fan vertically or horizontally. Baby sun hats provide protection not only to the delicate skin of a baby's face but to their neck as well - so be sure to get one that has a neck flap. A hat that ties or has adjustable strap will (help) keep the hat on for all day protection. This hat features an inner lining with a wick away microfiber. The fabric is lightweight so that it doesn't become too hot. These hats come in different colors and sizes and are machine washable. For babies who are crawling or for young toddlers that you'd like to "contain" in one spot, just bring your activity center or Pack N Play from home. Less sand will get eaten and you can relax a bit more. For babies who like to be carried, for moms or dads who want to take a walk on the beach or for parents who need their hands free to help other young children, invest in a beach/water friendly baby wrap. Weight is distributed evenly across two shoulders, and the baby sits high on the chest. Breathable, lightweight and quick-dry fabric that is safe and made in the US. 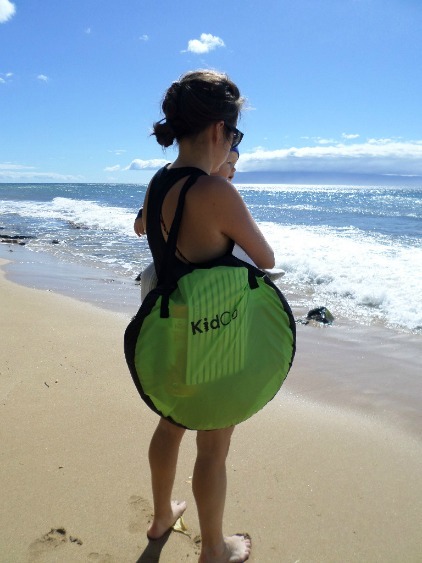 makes it an easy choice and easy to pack piece of baby beach gear. When your child starts crawling or toddling around, this portable activity center will keep them from eating sand or crawling off the blanket. 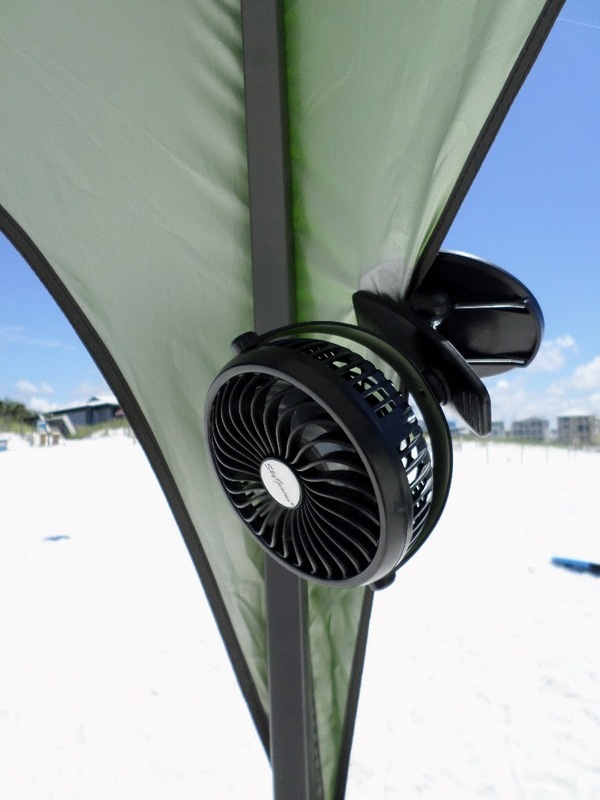 It is light weight, easy to set up and take down which makes it great for traveling to the beach or any other outdoor activity. The height is adjustable and there are drink and snack holders. Five loops are for attaching your baby toys to help keep them entertained. This portable high chair weighs about 8 pounds. Folds up and down very quickly. Made of washable, durable canvas material this piece of baby beach gear will make feeding time so much easier. Fits nicely into the storage bag making it easy to carry. It's sturdy and great for traveling whether it's to the beach, camping, or visiting friends and neighbors. Nice and roomy at 14 square feet - it is 48" wide and the sides go to 26". The metal frame is lightweight and unfolds easily. The sides are mesh so everyone can see what's goin' on and the bottom floor is made of a weather resistant canvas that is easy to clean. A couple people who wrote reviews were concerned about a screw exposure but it has since been resolved. The best baby sunglasses provide 100% UV protection, are comfortable for the baby, have unbreakable polycarbonate frames, and float in the water. Banz baby sunglasses offer all that and more. An adjustable velcro strap means that not only will the sunglasses not fall off but they can be adjusted to different sizes as the baby grows. Spring floats are easy to pack, lightweight to transport and quick to set up. We packed this one in our suitcase. This Swimways baby spring float has a canopy that's easy to remove or put on to protect their delicate new skin. 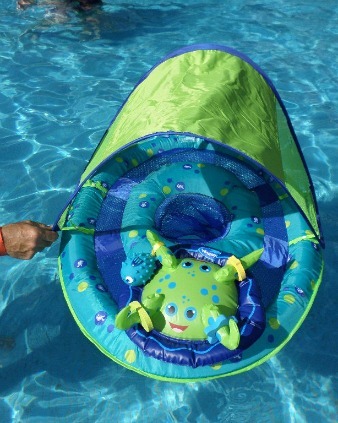 An attached activity center helps distract a baby who is unsure about the water. It also keeps them entertained in the water for a bit longer. 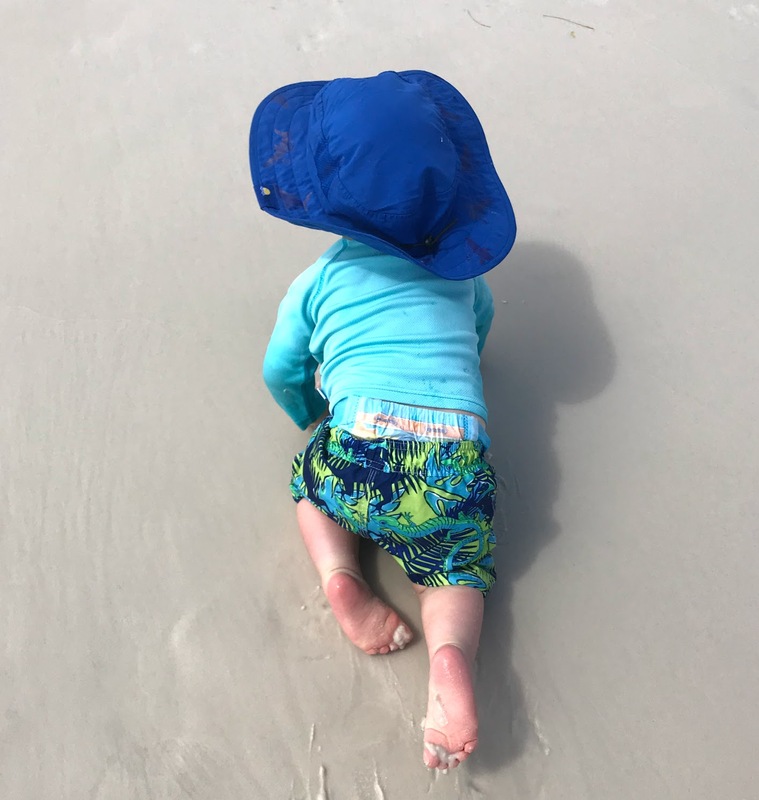 Which baby beach accessories you bring to the beach depends on the age of the baby and how mobile they are. While many of these items are portable it's best to use a beach utility cart to haul all of your stuff.